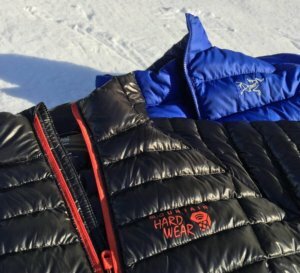 There is no one single best down jacket, and that’s a good thing because it means we have choices — there are many best down jackets. 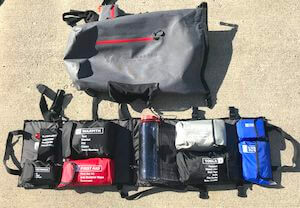 Everyone has different body types, does different sports, has different budgets, and needs different levels of insulation, breathability, and waterproofness. 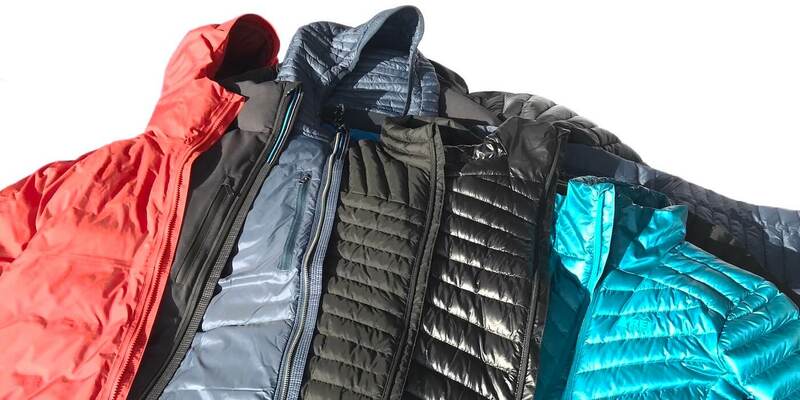 In fact, as we see it, there are 29 best down jackets that span three key categories. This might sound daunting, but it’s not: If you understand the key elements that go into your own best down jacket decision, it’s pretty easy to find the best lightweight down jacket for you. 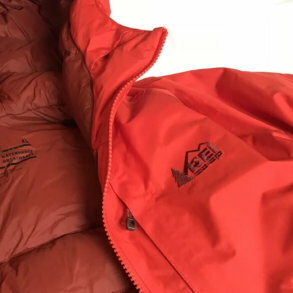 First, we’ll review what you need to know to choose the best down jacket for 2019 and beyond, ranging from truly technical ultralight down jackets to the warmest down jacket and coats. Next, we list our favorite down jackets and coats, highlighting their key features to help narrow your down jacket decision. The best down jacket could be ultralight, midweight, or heavyweight: Check out our top 29 best down jacket picks for outdoor adventure in 2019. Down is basically the ultralight and ultra-fuzzy plumage from geese or ducks. 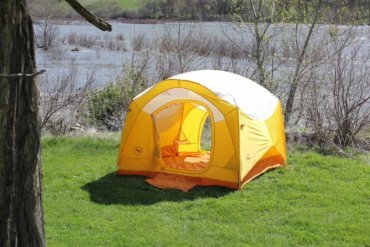 It’s one of nature’s most amazing insulating materials — it’s lighter and better than any synthetic insulation. Down is measured by fill power, which ranges from 550-650 on the entry-level end to 850-900 or so on the high end. The fill power is a measurement for the fluffiness of the down — higher fill power means the down fibers can trap more air, which provides more insulation. 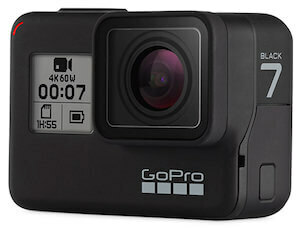 Still, even 650 fill power down is very good compared to synthetics. There is one major problem with even the best down jackets: If the down gets wet, its insulating properties plummet. 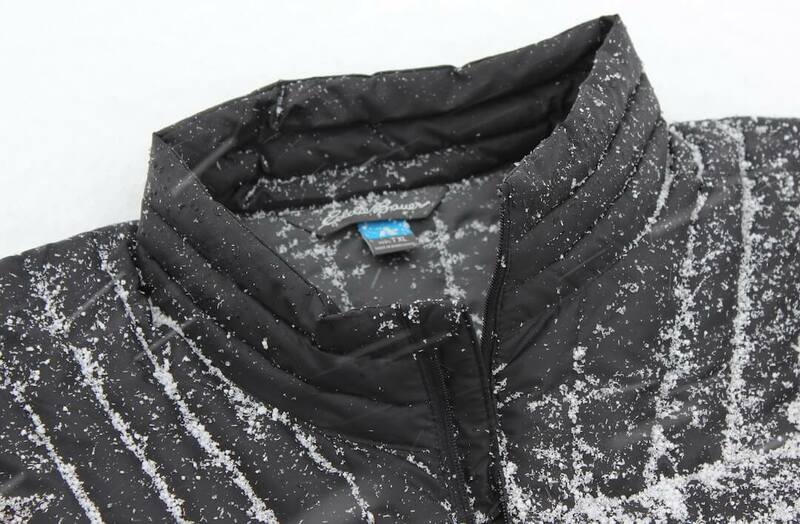 To combat this, the best down jacket brands often use chemically treated down that creates a water-resistant coating to transform it into what’s called hydrophobic down. There are a few different brand names for the treatments, but the effect is similar. Hydrophobic down resists moisture in the form of rain, sweat or water vapor produced by your own body. 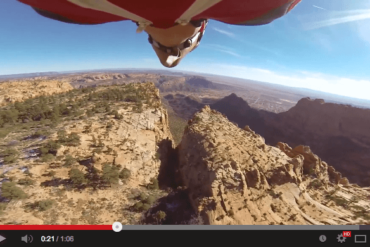 If you’re highly active, always error toward hydrophobic down. If you plan to wear your down jacket in wet weather, for instance, you’ll want to layer it under a waterproof shell like a rain jacket or ski jacket. In fact, two light layers — a down jacket with a waterproof jacket over the top — combine to create a super warm system that’s great for snow sports and even backpacking in the mountains. 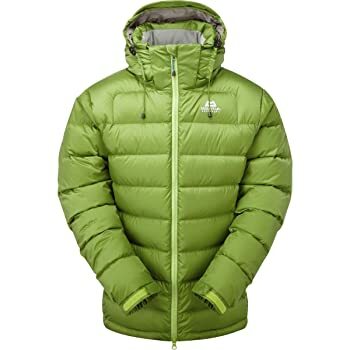 Best Down Jacket: Ultralight or Ultra Puffy? 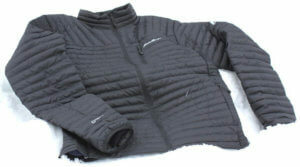 Most down jackets are sized to fit both a short-sleeve and long-sleeve layer underneath. 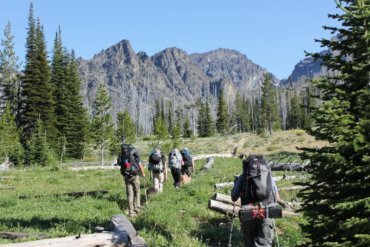 Your major choice in finding your best down jacket is choosing to go with an ultralight down jacket, a lightweight down jacket, or a heavyweight down jacket. 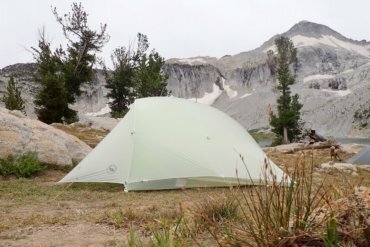 For our purposes, ultralight down jackets are technical marvels that use super thin fabrics and very light zippers to create a down jacket that can weigh just 9 ounces or less and/or have a combination of technical features. Lightweight down jackets use slightly heavier materials, might use more down fibers, and weigh around 12-16 ounces — you could call these midweight down jackets, but we don’t like to call these midweight jackets because they are still very light! Heavyweight down jackets are more like down coats or parkas. 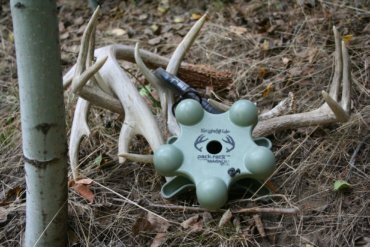 The shell material may or may not be more robust, but the down fill baffles will be larger and contain a lot more down — think very puffy. 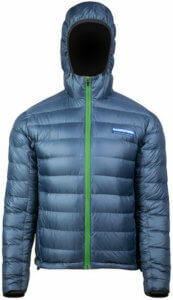 What about true mountaineering or expedition-class down jackets? These are highly specialized jackets. 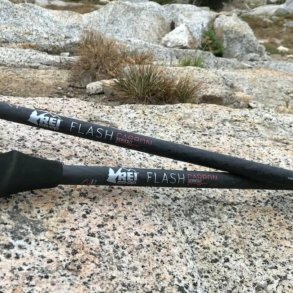 They’re usually only worth the cost if you’re going to climb a snow-covered mountain and put your life at risk. 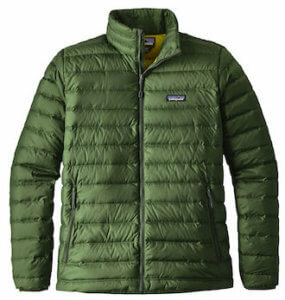 The popular Patagonia Down Sweater is one of the all-time best down jackets. 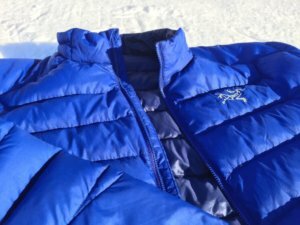 Down jackets are generally made for layering — they are cut so you can wear a base layer or t-shirt as well as a long-sleeve shirt underneath the down jacket. Sizing is usually pretty accurate, but if you’re a tall thin guy, you’ll want to pay close attention. Some brands and models provide more torso space than others. Average builds win out with down jackets. 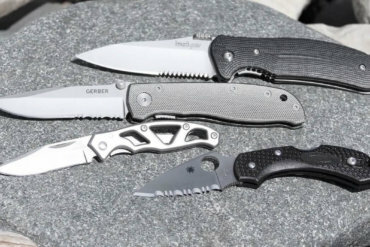 Men and women looking for more athletic cuts should carefully read the descriptions below, and if your best down jacket will be worn over just a t-shirt, you might want to size down for a slimmer fit. 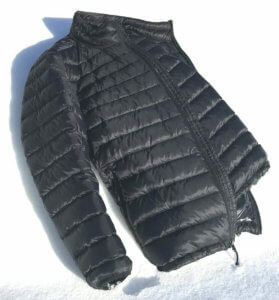 Down jackets often look a bit blocky when you first buy them. Once you wear them in, the exterior fabric will soften and look more rounded and natural. 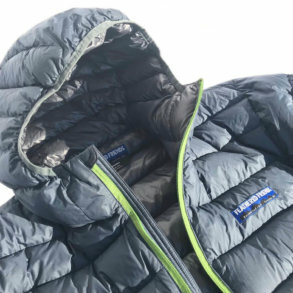 So if your brand new down jacket sleeve — which was folded during shipping or sat on a hanger for 6 months — looks funny, your own best down jacket should start looking normal after you wear it for a few days. 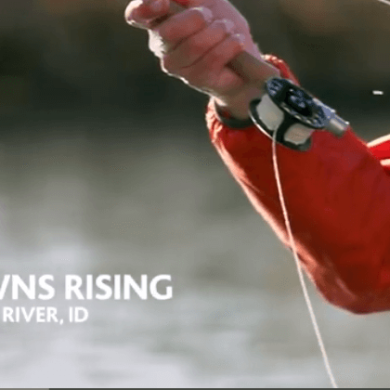 The best down jackets have DWR coatings. 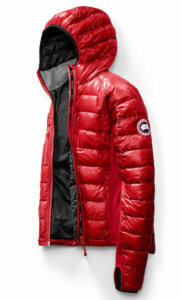 Some of the best down jackets have a chemical coating on the outer shell that repels water. 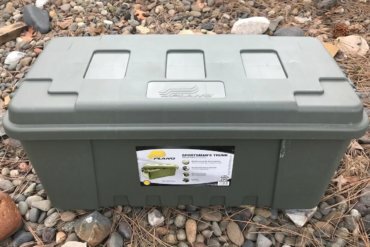 These coatings are pretty much never fully waterproof, but they can shed a lot of water when they’re new. 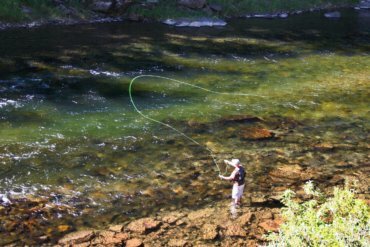 DWR coatings are desirable but not mandatory, especially if you pack a waterproof shell for layering for wet weather. 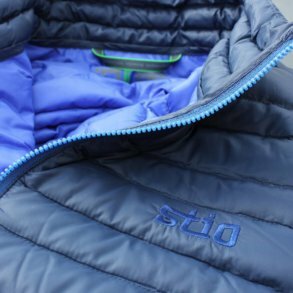 After a year or two, expect the DWR coating to wear off your best down jacket, after which you can often refresh it with some spray-on options. 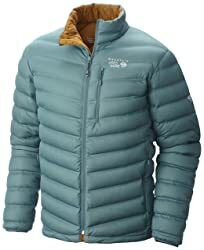 Best Down Jacket: Hooded Down Jackets? 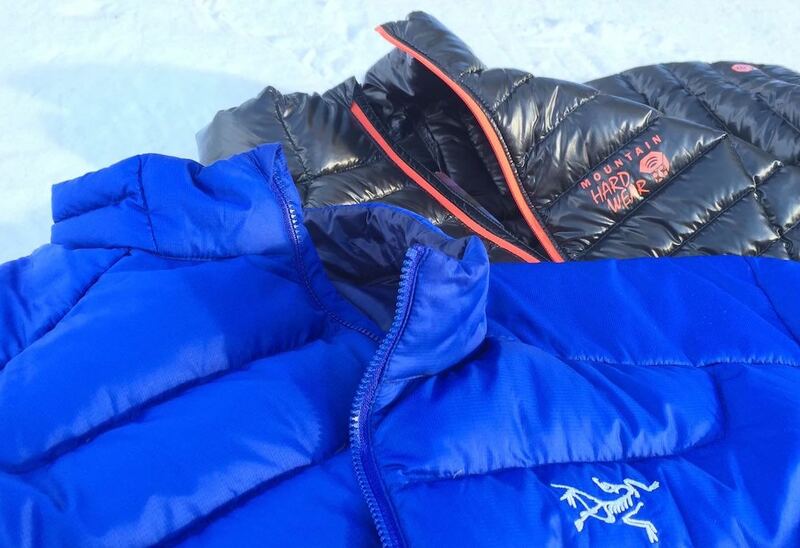 One of the toughest questions you’ll face is this: Should you choose a hooded down jacket? Hoods can offer extra warmth, of course, and they often look cool. If you’re going to layer your down jacket under a rain jacket or snow-ready shell that already has a hood, we usually recommend that you skip the hood. But still, hoods are great, especially if you’re going to be wearing your down jacket around town. 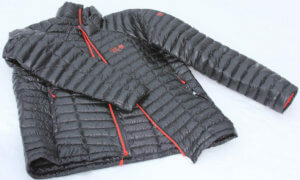 The new REI Co-op Magma 850 Down Hoodie features an ultralight Pertex ripstop shell and is designed for outdoor action. On sale now! 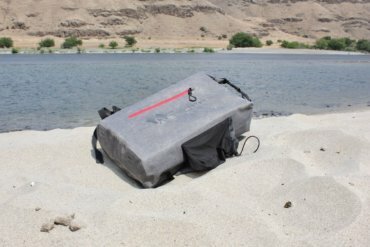 Shop direct from Arc’teryx and get free 2-3 day express shipping and free returns! 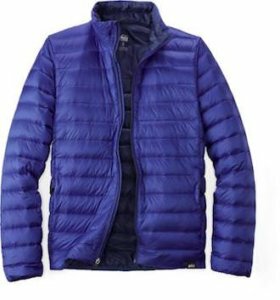 The Mountain Hardwear Ghost Whisperer down jacket is ultralight but retains key features like pockets and a drawcord hem. The L.L. Bean Down Sweater has an excellent price-to-value ratio and weighs in at just 10 ounces. 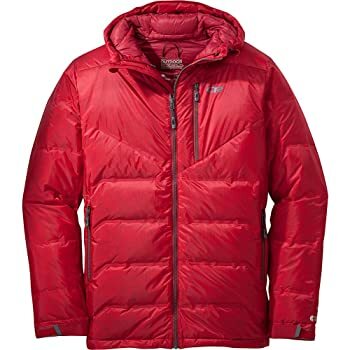 Huge CLEARANCE savings on down jackets at CampSaver — Patagonia, Mountain Hardwear, Marmot and more, plus free shipping on orders over $50. What the Eddie Bauer MicroTherm StormDown Jacket lacks in puffiness, it makes up with hydrophobic down, a windproof DWR shell, and excellent style. 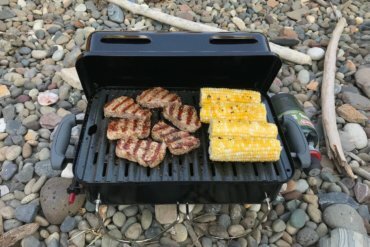 Shop the Spring Sale at eddiebauer.com — up to 50% off most everything! 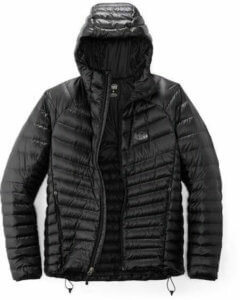 The Feathered Friends Eos Down Jacket boasts 900-fill power down. 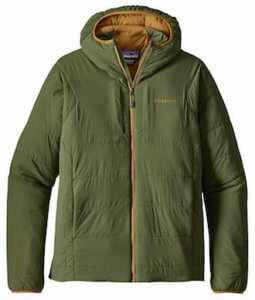 The classically stylish Arc’teryx Thorium down jacket boasts high-end construction with a seriously great zipper. 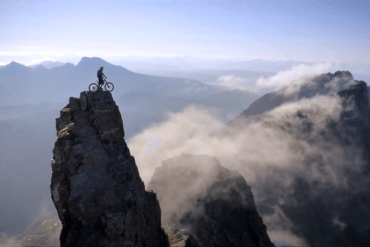 The Mountain Hardwear StretchDown Jacket uses welded channels to let the jacket stretch during high activity. Stio men’s Pinion Down Sweater has a near-perfect trim fit. 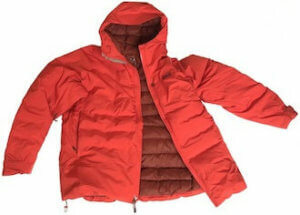 The excellent style of the KUHL Spyfire down jacket grabs attention yet performs well outside. 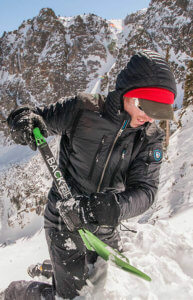 The Voodoo Falls 590 TurboDown down jacket now comes in tall versions. The REI Co-op 650 is our favorite down jacket under $100. 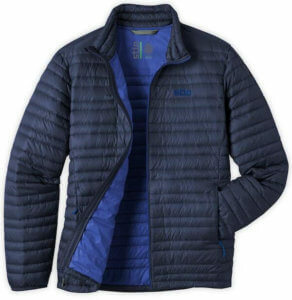 The RedHead NorthPort Down Jacket is one of the very best entry-level options for 2019. The KUHL Firestorm Down Jacket combines fabrics with an innovative style that looks fantastic and still excels in cold weather. 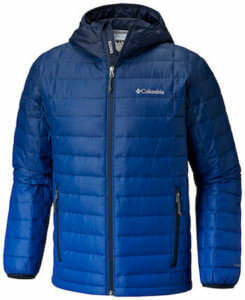 The Mountain Equipment Lightline down coat is a great value with a classic design that features a cool zip-off hood. The excellent Outdoor Research Floodlight Jacket is waterproof, windproof, breathable, and boasts fully-taped seams. 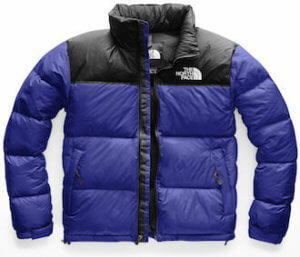 The North Face brings back the 1996 Nuptse down jacket. Nice. 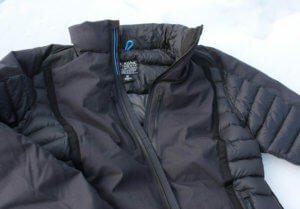 The REI Co-op Stormhenge 850 Down Jacket features a waterproof shell. 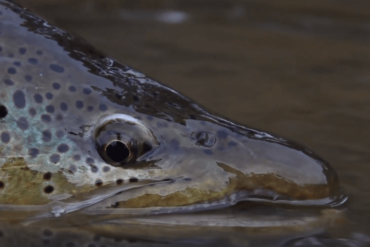 Fly Fishing for Brown Trout on the Owyhee via BFGoodrich?